Property Updated: Added 3rd Full Bathroom and Large Outdoor Living Room/Cabana. Impeccably remodeled ground-floor three bedroom three bath pool home with rare over sized 8100 sq. ft. lot. 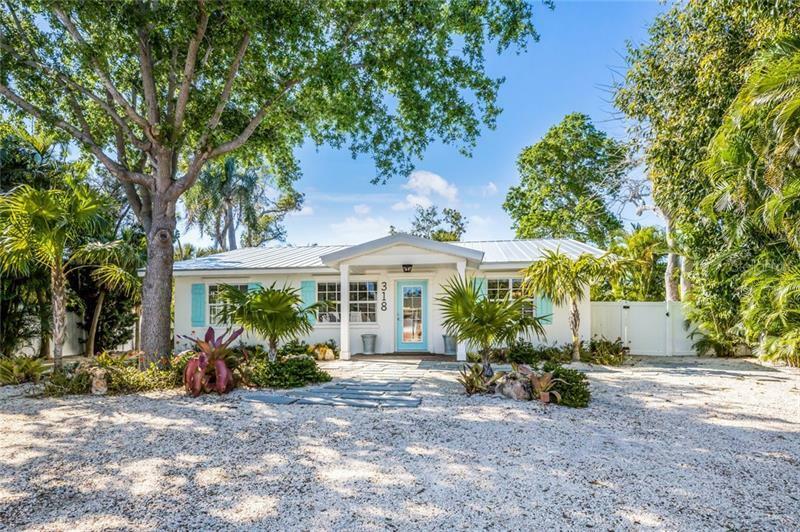 This well-appointed split plan is ideally situated on a desirable quite street with close proximity to the Beach Pine Street City Pier and Anna Maria Island Community Center. The new custom kitchen is outfitted with shaker cabinets granite counter tops stainless steel appliances and subway tile. Step into your newly remodeled bathrooms (3) each featuring custom marble tile and new cabinetry. New hardwood flooring hurricane windows metal roof LED lighting and professional interior design/furnishings complete the interior of this custom home. The professionally landscaped private backyard with pool and brand-new large metal roof cabana are perfect for morning coffee afternoon relaxing and evening entertaining. Move-in ready and perfect for year-round seasonal living or amazing rental revenue opportunities.